Every once in a while, we get this tingling feeling for a far away holiday. If you also feel like you properly need to get away, Florida is the perfect place to consider. With a flight time of 9 hours and a time difference of only 5 hours, Florida is not as big a journey as you may think. Choosing the sunshine state for your next break is a no-brainer! A cruise to the Caribbean, Bahamas, Hawaii, Alaska, Canada or more! Cruising is the perfect option for travellers who like to explore multiple destinations at once. When doing your research online you will see numerous destinations for your cruise and there are options to stop off for a couple days to fully immerse yourself in the area. Many cruises nowadays are equipped with more leisure facilities than a hotel and include theatres, outdoor cinemas, casinos and multiple restaurants. Additionally, they offer activities like rock climbing, trampolining and a teen centre for the younger passengers. 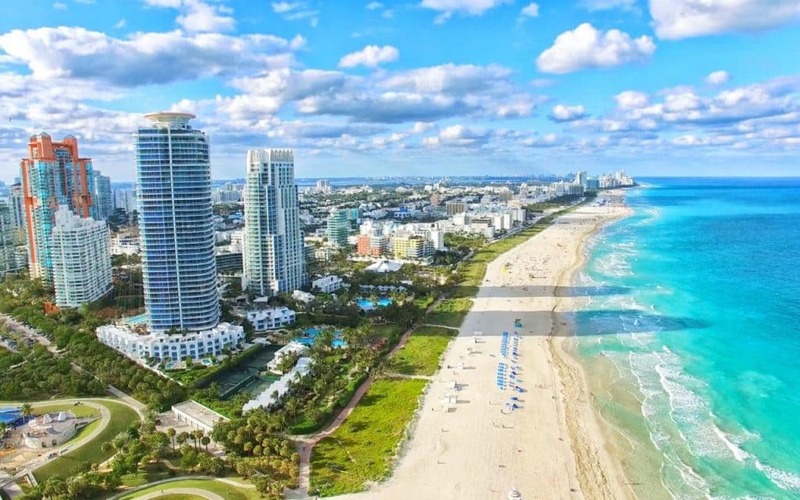 If you would like to visit two or more cities whilst in the USA, but are looking for a stress-free experience, Ocean Florida offer organised multi-city trips. There are classic options like New York and Orlando, Las Vegas and Mexico or The Deep South. More interested in an adventurous trip? You can combine Walt Disney World with a visit to the Mexican beaches, to make your trip both relaxing and fun. Travelling to Florida is not complete without a visit to the famous Walt Disney World! If you would like to solely visit this amusement park trips then packages to Walt Disney World come in all shapes and sizes. They offer Disney cruises, Disney hotels, Disney dining experiences and of course entry tickets to the parks. You can personalise your trip with visits to the water parks, movie parks and theme parks. The area has a wide range of hotels for you to choose from in and around Walt Disney World. If you are the type of traveller that needs a base location, a good option to consider would be to rent a villa. Whether you know the exact area you would like to stay or looking for the best deals, you can get a multitude of Villas available for rent in Florida. There are Disney villas, Gulf Resort villas or hyper-luxury villas. Beach-front villas for those who love the sea, or villas with private pools – there is something for all! Are you someone who likes lounging by the pool or beach? Would you like holiday that consists of swapping between these two accompanied by a cocktail and great food? Ocean Florida has a range of beach holidays aimed at the lounging traveller. Take a look at Ocean Florida for beach resorts and hotels that are on offer, which include all sorts of budgets and locations. Additionally, you can combine your beach resort booking with tickets to attractions or cruises. Check out the cheapest flights from London to Orlando on Skyscanner here.